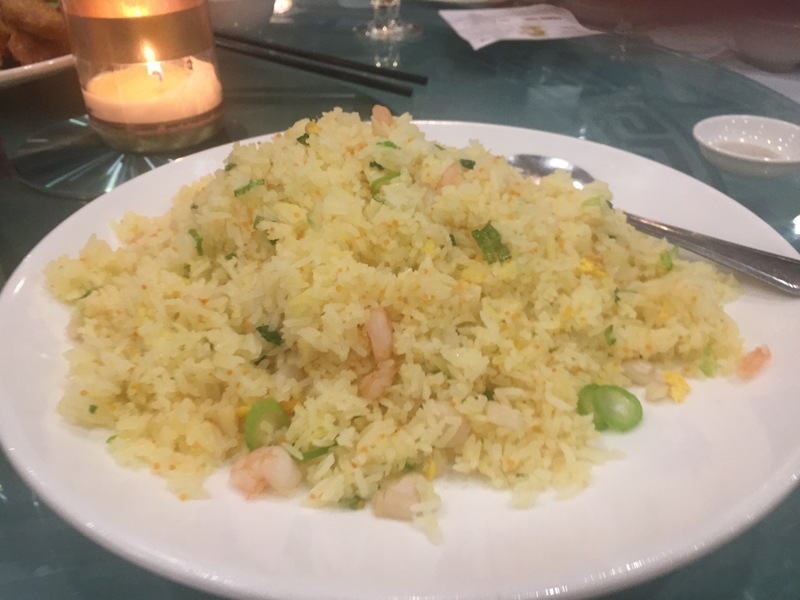 At this point I feel like I’m becoming an expert on Cantonese banquets as I keep ending up at them every time I travel to visit my wife’s family. 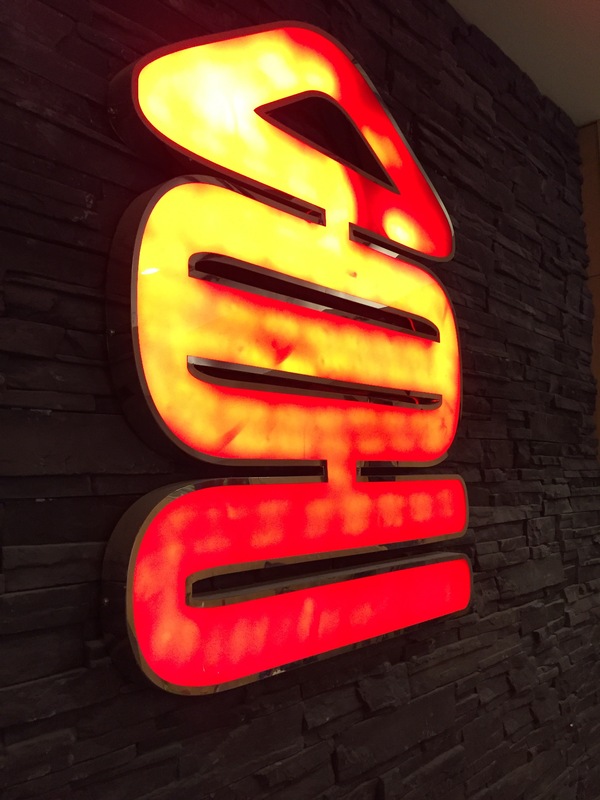 This time I find myself at Emporer’s Palace in Edmonton’s Chinatown for a wedding (#auloveyoutu). Off a nondescript street we find ourselves in a new stereotypical banquet hall, decorated a bit nicer than is typical. 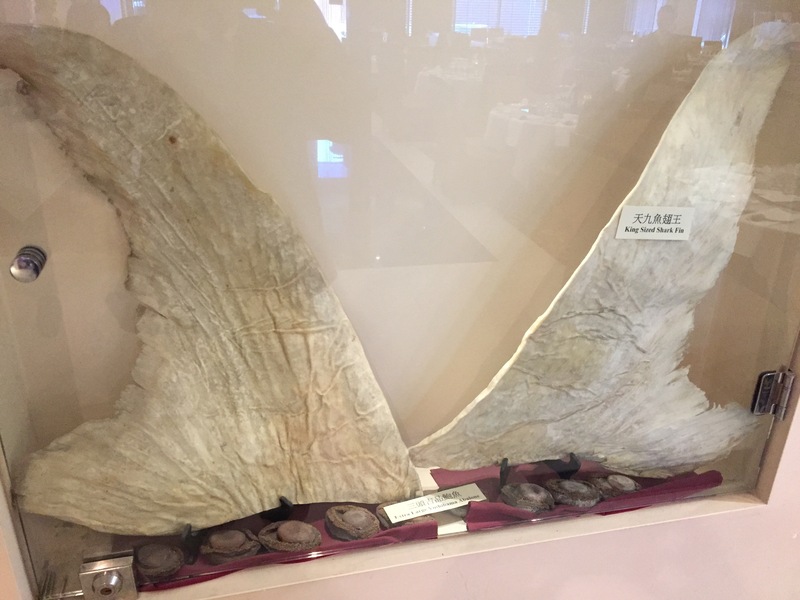 The walls have built-in glass cases featuring luxury Chinese ingredients like while shark fins, abalone, and birds’ nests. 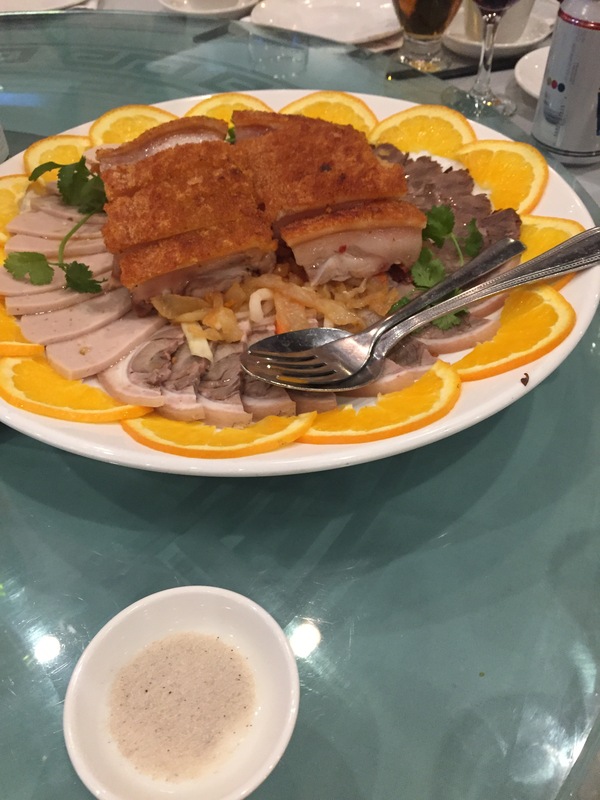 So we start the meal off with the Cantonese equivalent of charcuterie, pork belly pressed and fried to a crispy skin, roast beef slices, a bologna-like mystery meat, all served over a bed of jellyfish. 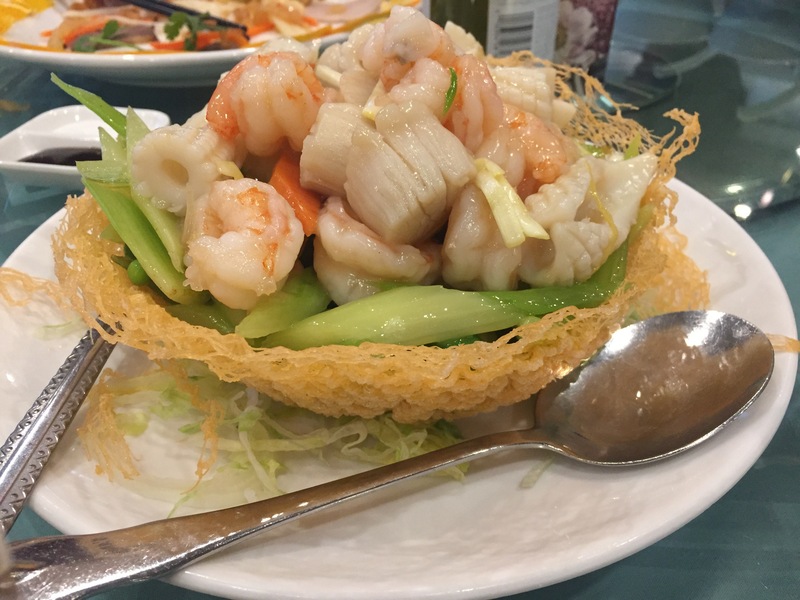 The second course is shrimp and cuttlefish, served elegantly in a fried nest of ultra-fine noodles and steamed vegetables. 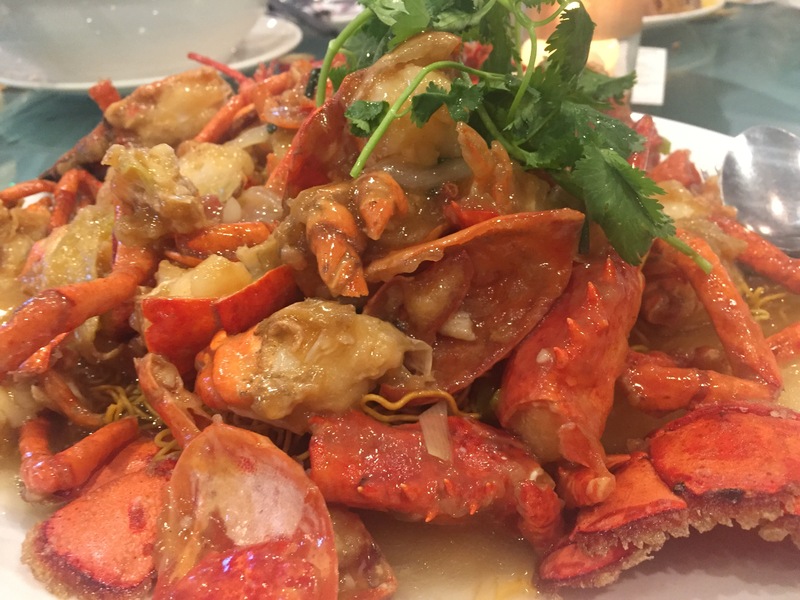 The overwhelming food extravaganza continues with deep fried crab claws. 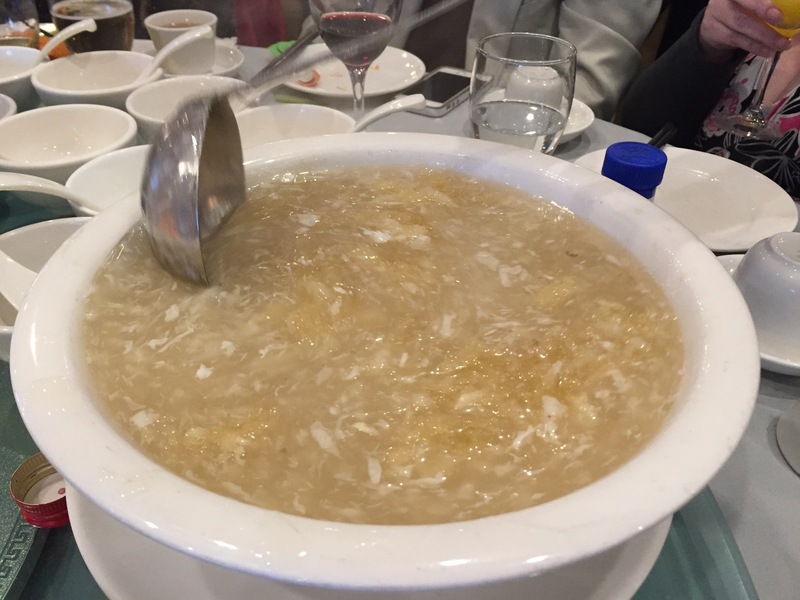 Course number four jumps to soup: a chicken broth with crab and then some shark fin to make it gelatinous. After a brief break for wedding speeches, we gorge ourselves on course five, a mountain of sautéed lobster. Course number six stays with seafood, abalone and sea cucumber over baby bok choy. 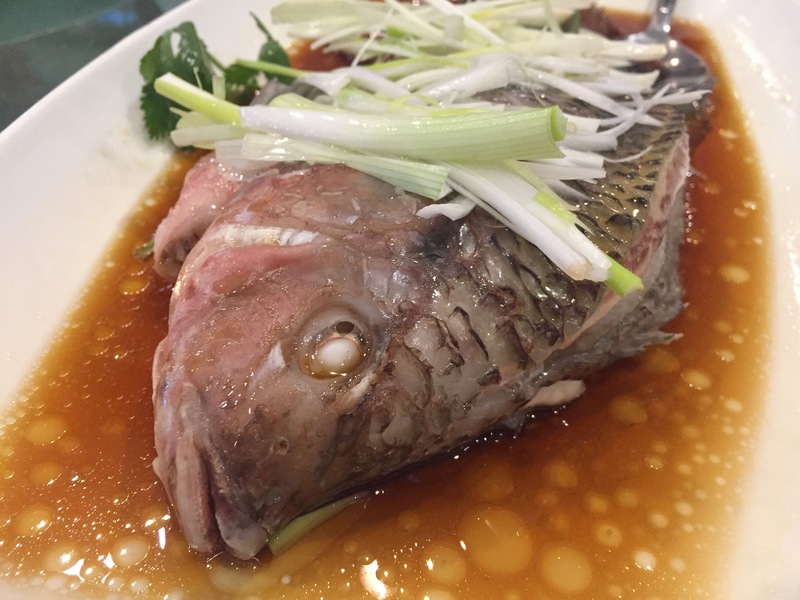 Course number seven (as if we weren’t stuffed enough) brings us to a perfectly steamed whole fish in the usual ginger light soy sauce and a pile of scallions. 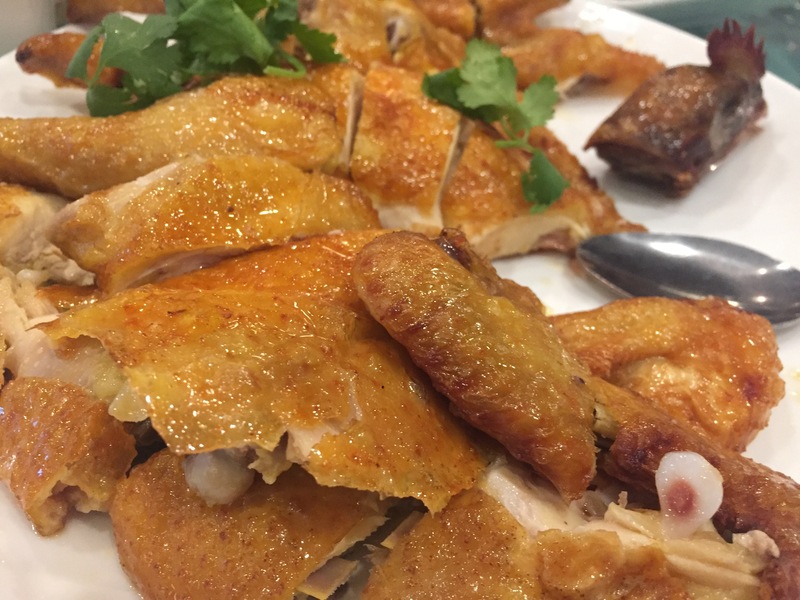 Auspicious in Chinese numerology, course eight is a chicken dusted in Chinese five-spice and then fried to get a crispy skin. 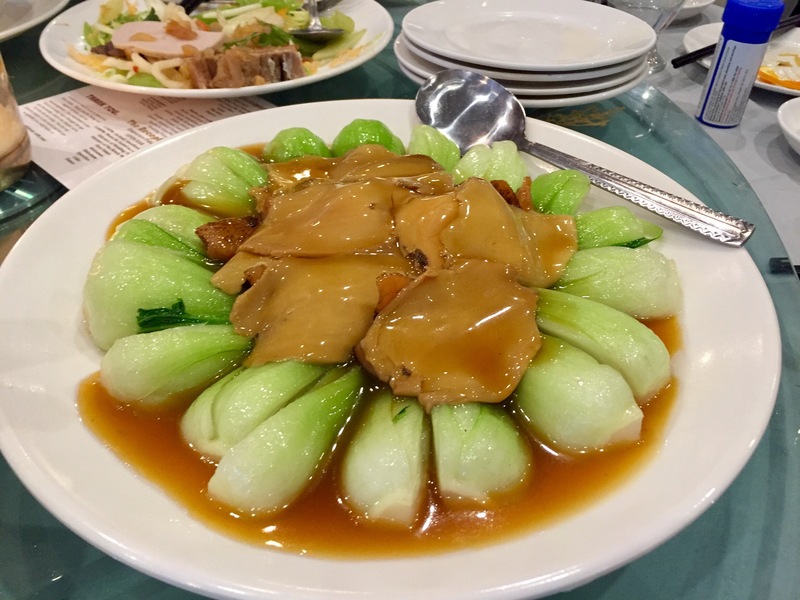 It always bothers me that in Cantonese cuisine, poultry is chopped into bite sized pieces while still on the bone. 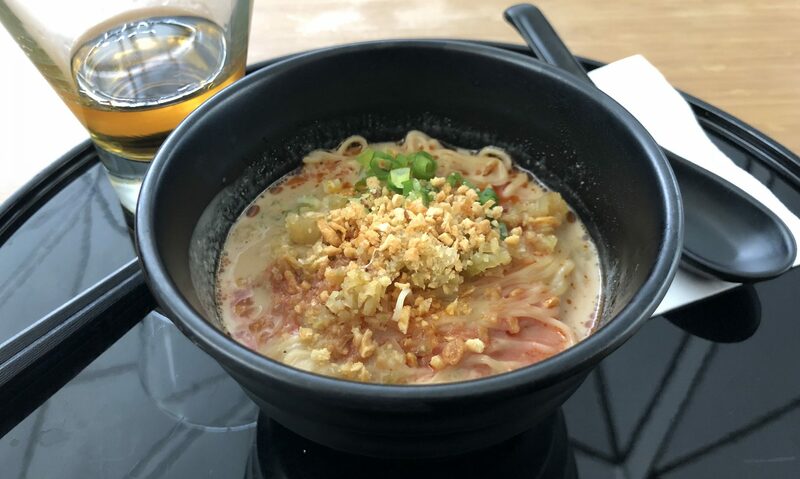 It ensures every bite has one or more bones that have to be picked out of your mouth. 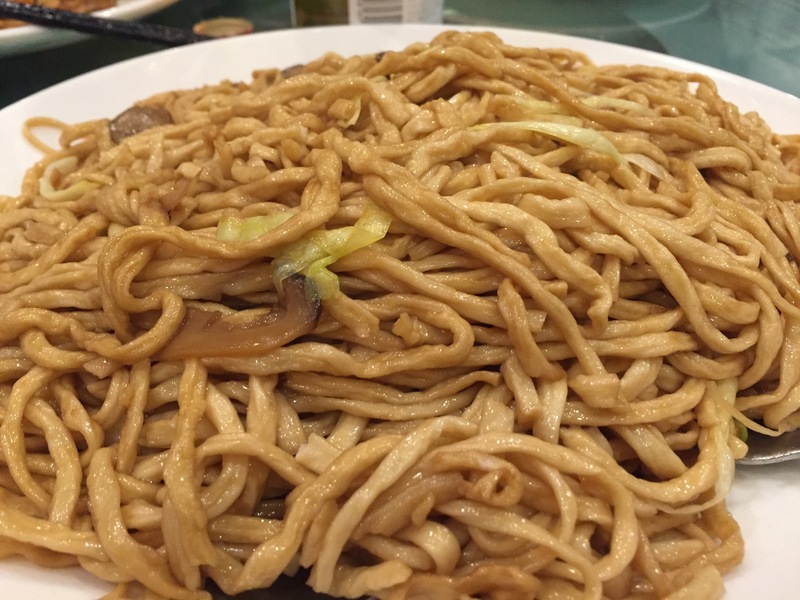 And finallly, it doesn’t count as a course, but you know you’re finally done stuffing your face when the typical filler of rice and noodles shows up to ensure there are no unfilled gaps in your stomach. 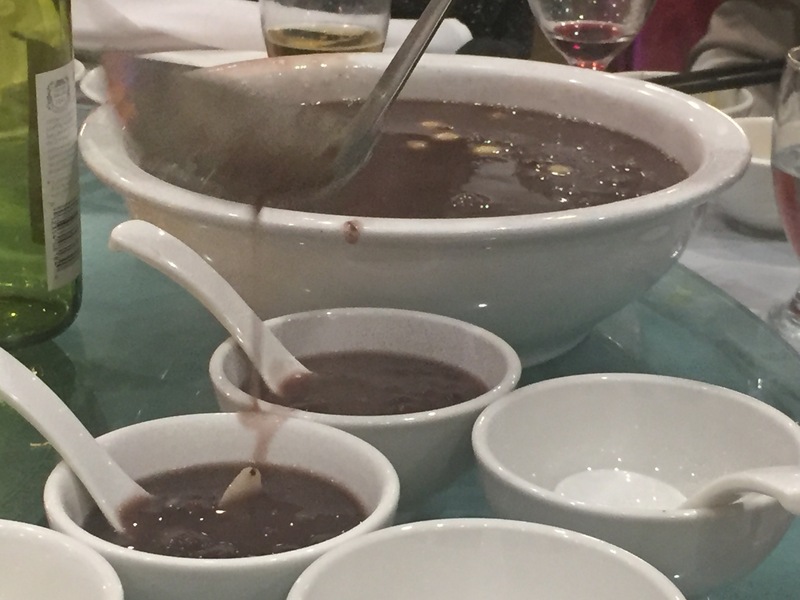 But of course that’s not really the last of it, there’s always a desert course of a sweet bean soup (this time red bean) and fresh fruit. 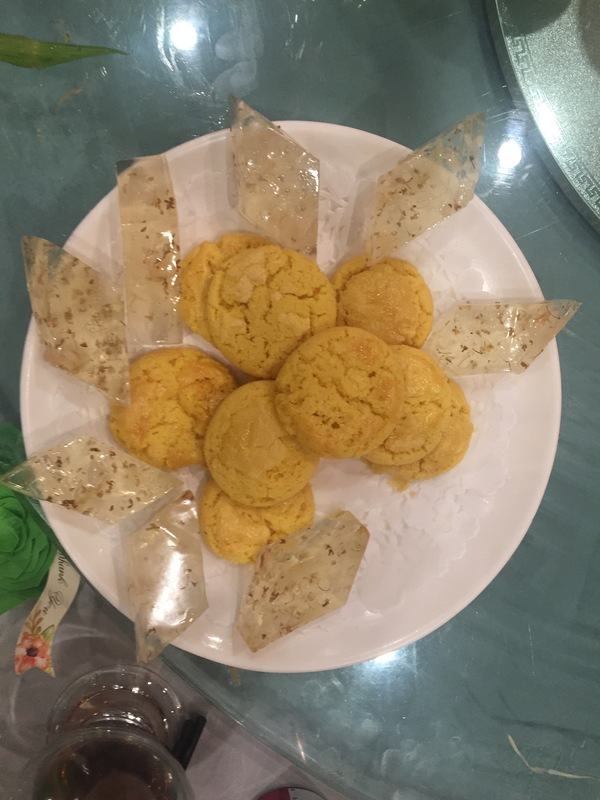 Along side, sasame cookies and a gelatin infused with osmanthus flowers. 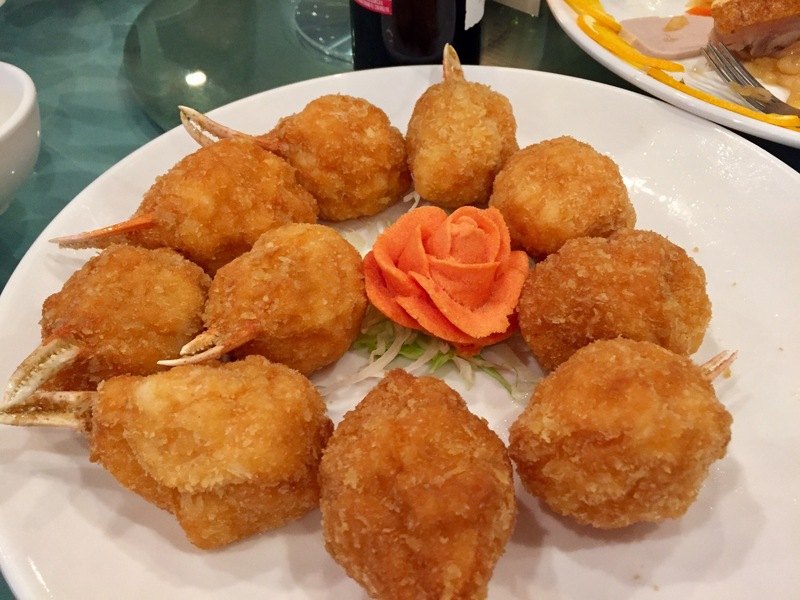 Next PostNext Is Canadian dim sum any different?